Using Microsoft Application Virtualization (App-V) lets you deploy, update, and support applications as services. Users access applications without installing them on their own devices. Configuring App-V Publishing in Citrix Studio Allows you to manage access to App-V applications from a single console. After you have created your Citrix XenDesktop 7.8 Site you can configure App-V Publishing if you skipped it during the initial installation. Select Configuration > App-V Publishing in the Studio navigation pane. Select Add Microsoft Server in the Actions pane. 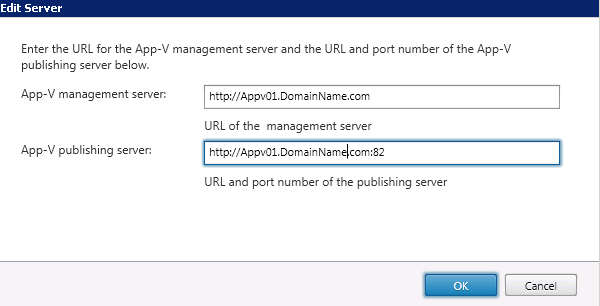 Enter the URL of the Microsoft App-V management server, and the URL and port number of the Microsoft App-V publishing server. Test the connection to those servers before closing the dialog box. If successful, you should see the applications within Citrix Studio under App-V Publishing. Changing your App-V publishing server settings. Citrix recommends using the SDK cmdlets on the Controller. 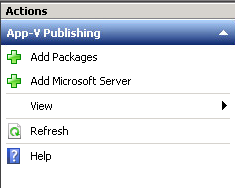 View publishing server settings, enter Get-CtxAppvServerSetting -AppVPublishingServer <pubServer>. App-V applications launch properly, enter Set-CtxAppvServerSetting –UserRefreshonLogon 0.